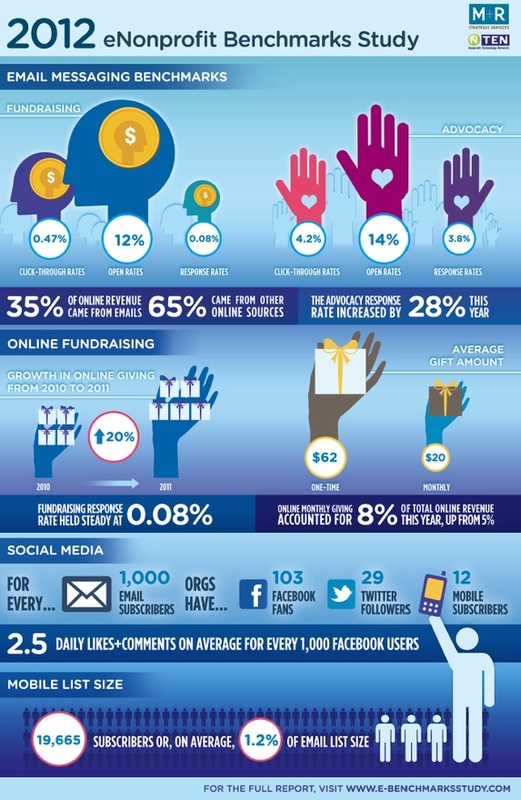 Here is a wonderful infographic we discovered on how both email marketing and social media were able to increase Non Profit Fundraising in 2011! There are some extremely interesting statistics here. 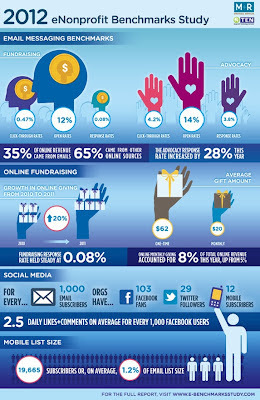 Thank you NTEN and M+R for teaming up to create such an informative infographic! To read the full report or to view past studies, visit www.e-benchmarksstudy.com.